Are you familiar with the Pareto principle, otherwise known as the 80/20 rule? Essentially, it states that 80% of your business wealth will come from 20% of your customer base. Add this to the fact that it costs at least 10 times more to acquire new customers than to sell to the ones you already have, according to eMarketer, and you’ve got a strong business case to invest in your customer base. Despite these powerful numbers, B2B marketers are still primarily focusing their investment and activities into driving acquisition, which means that they are leaving money on the table. Today, more than ever, marketers must focus on providing value through the entire customer lifecycle. From acquisition, where your goal is to acquire customers at the lowest possible cost, to engaging those customers in meaningful conversations on the channels they’re on, to retaining them and continuing to provide value, to ultimately turning those customers into brand advocates. Think beyond acquisition and focus on customer base marketing, which revolves around each customer’s lifetime value, not just their first purchase, by identifying and marketing additional cross-sell products or services to an existing customer, working to keep them happy and keep them as a customer, and developing current customers into loyal brand advocates. Upsell is defined as selling more of the same product or an upgrade. Using the fast food example again, customer upsell would be the restaurant asking, “Do you want to supersize your meal?” They’re still selling you the same food, but they’re offering you the option to select a bigger portion. Retention focuses on preventing churn by keeping existing customers happy and coming back for more. Successful customer retention starts with the first contact an organization has with a customer and continues throughout the entire lifetime of the relationship. This includes successful customer onboarding, enablement, engagement with the company and its products, adoption and usage of the product or service they purchased, value realization, customer satisfaction, and repurchase intent. 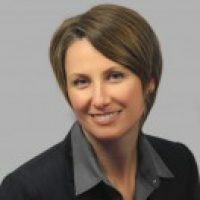 Advocacy and loyalty refers to continuing to build trust with your returning customers, rewarding them for their repeated business, and leveraging their high satisfaction, brand loyalty, and willingness to act as brand ambassadors to extend your marketing efforts—building awareness, providing referrals, and ultimately helping drive sales and increase revenue. In fact, research by BzzAgent, a word-of-mouth marketing company, shows that a customer advocate is 50% more likely to influence a purchase decision than a regular customer. Customer base marketing creates a more engaged customer base by helping them maximize the return on their investment—successfully onboarding them, nurturing them with personalized, automated, and actionable tips to ensure broad product adoption and usage, and gradually opening their horizons to new capabilities and complementary products. Sell more to existing customers. You’ve already done most of the hard work winning the customer’s business. Now that you know who they are and what they’re interested in, you can leverage lead scoring across demographics, firmographics, and behavioral data to identify opportunities to expand your footprint and create cross-sell and upsell opportunities. You can even prioritize your best customers to target them with unique offers. Target your best sources of growth. Listening and responding to customer behaviors helps you determine their interest in specific products or services and identify which customers are valuable opportunities. You already know your customer’s interests, so engage with them on their terms: on the right channel, at the right time, with the right message—one that they’re truly interested in. There are a few different approaches to targeting your customers. One strategy is to focus your efforts on customers with the highest potential, the highest lifetime value based on their historical purchase history, high usage maturity, and breadth of featured used. Another consideration is to identify risky customers early in their post-acquisition journey and develop custom programs to prevent churn. Both of these strategies should be used simultaneously to continue to provide value to happy customers and identify ways to prevent the unhappy ones from churning. Focus sales on their best bets. For a B2B organization, the benefits of customer base marketing extend to the sales team as well. Sales can have a more personalized dialogue based on who your customers are, as well as the behaviors and interests they’ve expressed, to prioritize conversations and focus on closing business. Measure marketing’s impact on growth. Like any other marketing program, with the right measurements in place, you will be able to demonstrate how your marketing investment impacts revenue. Focusing on the entire customer lifecycle allows you to gather the relevant data that gives you insight into how your marketing dollars impact business growth—beyond a customer’s first purchase to their entire customer lifetime value. Ready to learn more and take a deep-dive into customer base marketing? 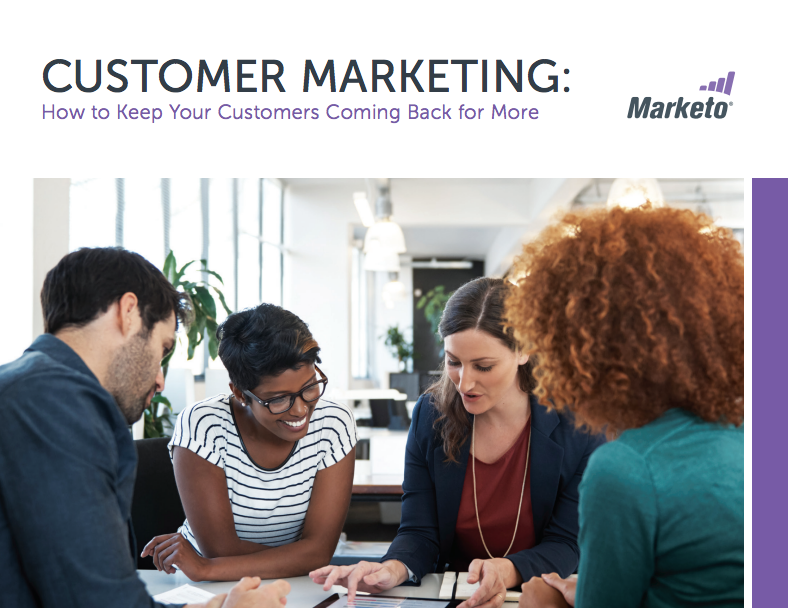 Read our ebook Customer Marketing: How to Keep Your Customers Coming Back for More.